On September 10th I saw Doe Paoro open for Sylvan Esso at their sold out show at The Sinclair in Boston and was immediately impressed by her incredible talent. By the time she was done her second song, “Hypotheticals,” I found myself thinking that she should be headlining her own shows because she’s just too talented to be an opening act. To that end, I have a feeling she will have a big enough following to headline her own shows by this time next year. Also, chances are that her next album, due next year, will be released on a hip label like Sub Pop or Anti- or 4AD; somebody sign her now! Last night on September 22nd I saw Doe for a second time, as she’d finished her dates with Sylvan Esso and is now out on the road supporting the brilliant My Brightest Diamond. Once again, I was blown away by Doe’s performance. Her voice is downright mesmerizing, reminding me of Stevie Nicks; I believe they have similar tone. Her lyrics also remind me of Stevie Nicks, come to think of it, both women being brutally honest and emotionally vulnerable in the stories they put to enchanting music. But where Stevie sets her words to rock music, Doe tends to avoid guitars in favor of strong bass lines, emotive piano and punchy beats. And I dare to say that Doe has more of a wild imagination, resulting in music where no two songs sound very much alike. You never really know what direction Doe’s music is going to go in. Although there may be a hint about that within the following interview that we did via E-mail this week. If you want to know about tomorrow’s artists today then you’ve come to the right place. 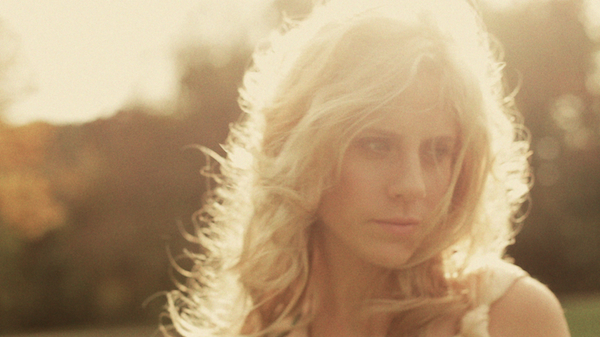 Doe Paoro will soon be as famous as Bat For Lashes and St. Vincent, two other remarkable artists whose music Doe’s songs call to mind. 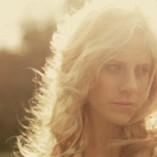 Your bandcamp page states, “DOE PAORO IS DEAD. 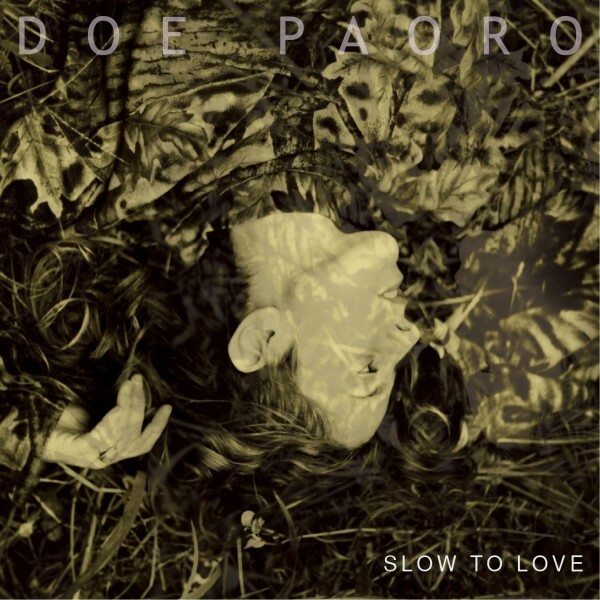 LONG LIVE DOE PAORO.” What’s the story behind this? A big source of inspiration when I started recording music was this idea that we can rewrite our history at any given point. That quote is a reference to that; the old version of me is dead, and there is a new one — and I’m sure there will be plenty more where that came from. How do you describe your music when you have to assign it a genre or genres? To my ears, your voice is very soulful, so I think it could be considered soul, but I also think it could be considered truly artistic pop. I usually fumble around for words and end up saying something similar to what you just said. To some degree I thought your music reminded me of Fiona Apple. Now that I’ve heard Slow to Love, I can definitely hear her influence between the piano melody and your brutally honest lyrics. Did you think about her at all when you were writing or recording that song? I didn’t but I’m flattered by the comparison. I listened to her music a lot growing up — in those years where music the matters and saves the most- so I probably naturally pulled from a place that she showed me was okay to go to through her own music. She always says the thing that other people are scared to say, and I’m very grateful that she created that space…. I bring lyrics and usually have a vague idea of a melodic hook, and build from there. I do a lot of co-writing and try to be open to the energy of the moment and the other person involved and tap into that. You struck me as someone who’s had training in dance with the way you danced during your set that I caught before Sylvan Esso. Have you had such training? No! Not at all – I was incredibly physically awkward growing up, tripping over myself and whatnot. I’ve become really interested in yoga and movement in the last ten years and found a new presence in my body — I just try to move the way the song makes me feel. You came across a Tibetan folk opera singing tradition unintentionally in India. How did this happen? I was hiking in the mountains with a friend and heard this incredible singing…became totally transfixed. I followed the voice until I came to a school of Tibetan music and asked the teacher there if I could study with him. I’ve now been back 3 times in the last 4 years to study with him. Each time, I discover new possibilities with the voice. I am very inspired by this idea that we all carry this instrument in us but don’t even know it’s own potential. How did your singing and/or songwriting change after studying the Tibetan way? Are there any particular moments in your songs that you can point to where what you’re doing is directly inspired by it? How did you come to record Ink on the Walls at Justin Vernon’s April Base Studios? I had a song that I had written with Adam Rhodes during Hurricane Sandy, when everything was shut down in NYC. We’d never written anything like it — it’s very special but also pretty delicate in it’s singularity and we knew we had to seek out the right person to produce it. I played it for some friends and Justin’s name kept coming up. I love all of his music but didn’t know him, didn’t know how to get in touch. I found an email for his manager and sent him the song and they wrote me back and we started working together on it through email…it kept rolling from there. How did you get S. Carey to produce it? I was trying to figure out a plan to produce the full-length record and had a major record deal offer at the time, but I was unsure about it. My manager also worked with S. Carey and suggested we ask him to work on it and make it ourselves, so we could maintain creative control. His music is so honest and wonderful; I thought it was a great idea. Was the co-producer, B.J. Burton, there working alongside him the whole time or did he come into the picture and take over for S. Carey at some point or…? BJ was working on it with him the whole time and even beyond because he ended up mixing the record as well. What do people actually call S. Carey? Just curious! Justin Vernon guests on your EP. What did he contribute? He plays guitar and contributed some synth lines on a few songs. You wrote the song “Nostalgia” with Peter Morén of Peter Bjorn and John fame. How did you come to work with him? Do you have plans to work with him again? I was out in Stockholm writing in 2012 and my publisher linked us up. We just emailed the other day — I’m trying to go out to Sweden this winter to work with him and some other amazing writers there again. I love writing with him– we come to songwriting from very different contexts, and it makes for ideas I never could have come up with. Your site indicates that you have a songwriting partner named Adam Rhodes. How did you connect with him? Did he co-write Slow to Love or just Ink on the Walls? Adam is kind of my soulmate of music — we grew up together in upstate NY. I heard through friends that he had moved to NYC when I got back from India, and asked him if he wanted to jam. We ended up cowriting most of Slow to Love together and he produced it. He cowrote “Nobody” with me off Ink on the Walls. Exactly. I think if you are so wrapped up in your old stories, you miss out on the new ones you could be writing. People unconsciously repeat their histories because they are attached to a memory — it’s very human– but it’s limiting. On Walking Backwards you sing “I can’t find no eyes to lock with mine.” Were you single at the time you wrote it? If so, are you still single? Haha. At the time, I had just split with someone I had been living with for a few years. I am always sort of in something, and never really. Sure. But I also believe that you can have a few soul mates, and that they come into your life to teach you something at the right moment, and when both people learn what they needed to, sometimes the karma is finished and the relationship ends. You sing that nobody understands on “Nobody.” How often do you feel misunderstood in your life? I’d say that I experience very pure connection much more often than feeling misunderstood. But I’d bet most people who pursue artistic expression are driven by the feeling that there is something they still need to say, because they weren’t able to come across the way they wanted to when they lived the situation out…music becomes another chance at being understood. I saw you open for Sylvan Esso at The Sinclair in Cambridge, MA and I’m going to see you opening for My Brightest Diamond there. Are you from the Boston area? Where did you grow up? I can’t remember hearing any guitar in your songs, aside from the bass guitar. Do you ever use guitars? If not, are there any reasons why you choose not to? Do you dislike the way they sound, for example? Haha, called it! The last few years, I haven’t been inspired by guitar but I’m finally turning the corner on that and penduluming to the other extreme. I’ve been thinking that I want the third record to be very guitar heavy. Do you have any tattoos? If so, tell us about some of them. Yes. I have ouroboros on my right rib. I got it in India. Reminds me to try to avoid getting stuck in the cyclical bs and to recognize that each ending is a beginning. What do you think of to summon up the emotions you project on stage? How much is theatrics? I’m not a great actress. I do a lot of yoga and meditation so that I can be fully present on stage, and live within the world of my songs. I try to picture the people I wrote them about originally. Much thanks to Doe for her thoughtful answers!